With a high percentage of the population overweight, these photos could be a good reason why! We have all heard of restaurants offering food challenges, like you may have seen on Man vs. Food on the Food Network. Most of the time they have you eating a ton of food in a certain amount of time and if you are successful, then you get a free t-shirt! Seems kind of lame, but a ton of people do it and we came up with a list of the 20 craziest food challenges right here! It may look like a cake, but that is one giant cupcake! It equals 21 regular cupcakes and weighs 2.5 pounds. You get to pick the frosting and if you can eat it in 30 minutes, then you get a free meal, t-shirt and wall of fame photo. 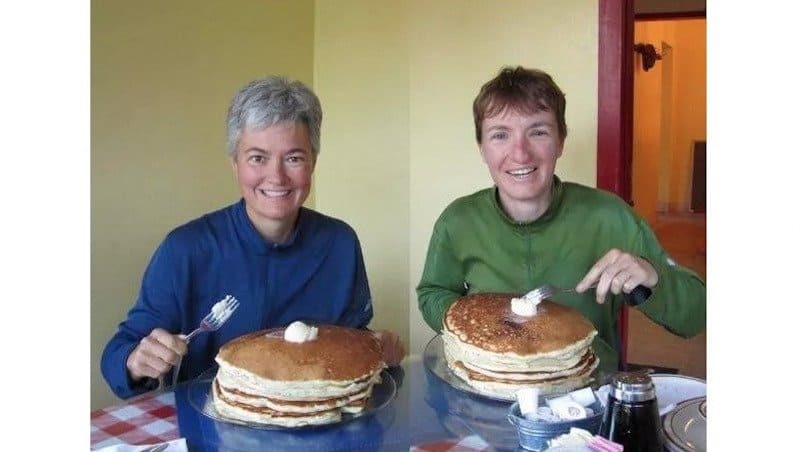 You will need a lot of syrup for this challenge, as Seiad Cafe in California is challenging you to eat these five pancakes (which total seven inches high, 13 inches in diameter and weigh eight pounds). You have two hours to eat them all and then get your photo put on the wall. 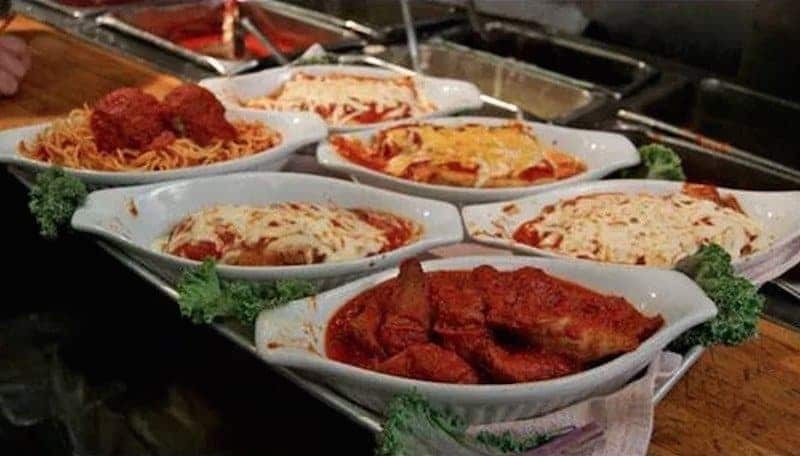 This looks like the table for a big, Italian family. However, that is the food challenge at Mick & Angelo’s. 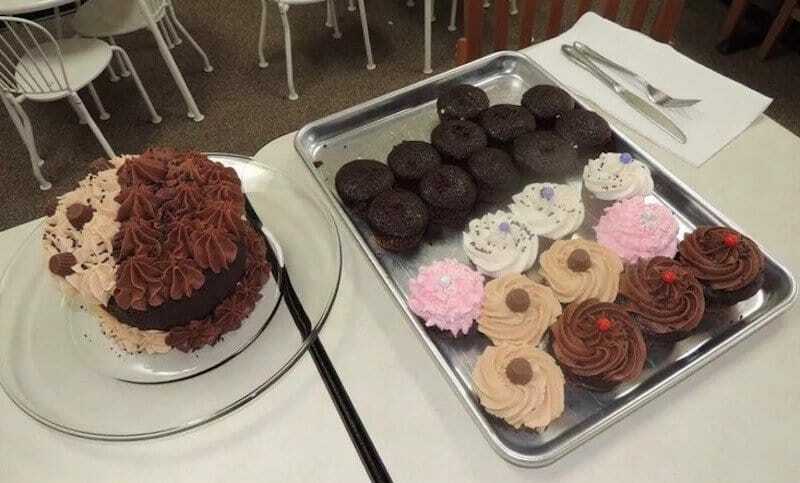 The challenge includes the daily soup, spaghetti, meatballs, manicotti, lasagna, sausage, chicken parmigiana, garlic loaf and a red velvet cupcake. You have 90 minutes to eat it all for a free meal, t-shirt and photo on the wall of fame. This one is definitely worth the effort, as you get a free year of ice cream if you can finish it! 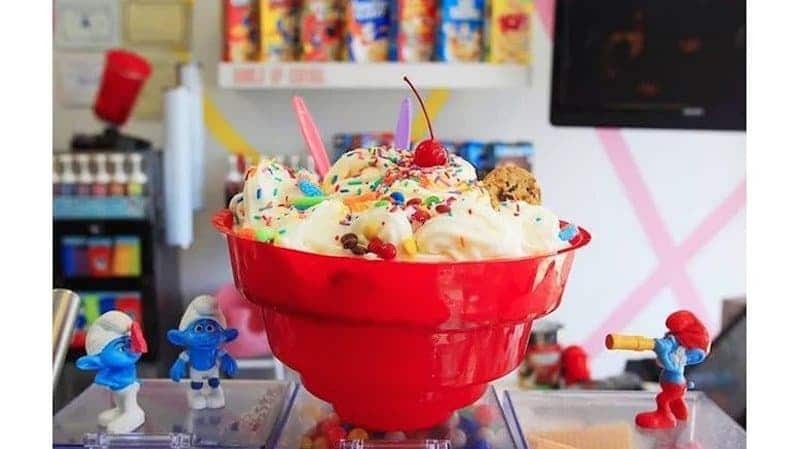 That sundae contains eight scoops of ice cream with three bananas, almonds, cherries and whipped cream. However, we are thinking not many people are finishing that sundae. Potstickers are amazing, but you might get sick of them when taking on this challenge at Kagurazaka Hanten in Tokyo. 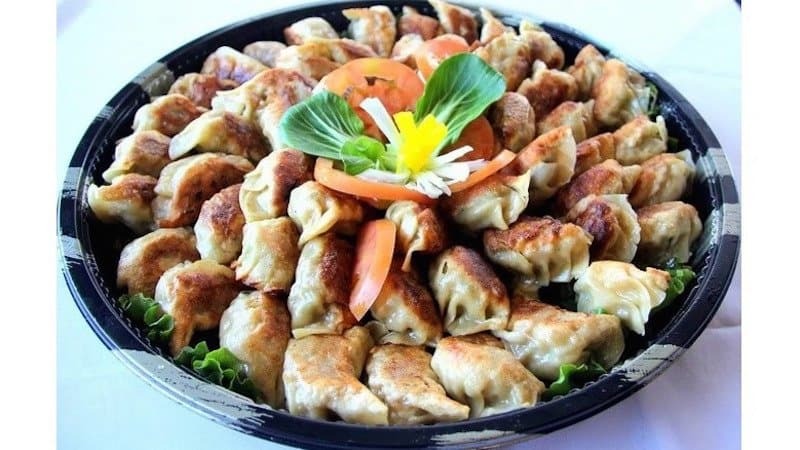 The platter contains 100 of them to eat within an hour! All of that just to get your photo on their wall. You have to go to England for this one and that slab of food is for one person only! 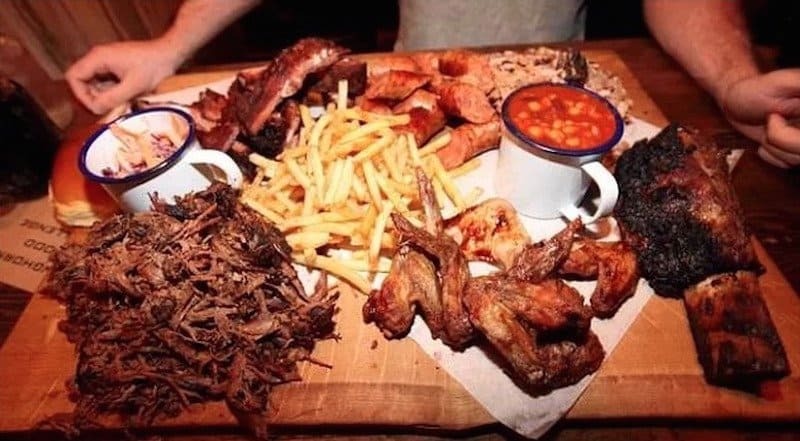 It consists of seven pounds of smokehouse BBQ, which includes Memphis pulled pork, wings, a full rack of ribs, Texas brisket, smoked sausage, “badass” beef ribs, red pickle slaw, pit beans, fries and brioche. 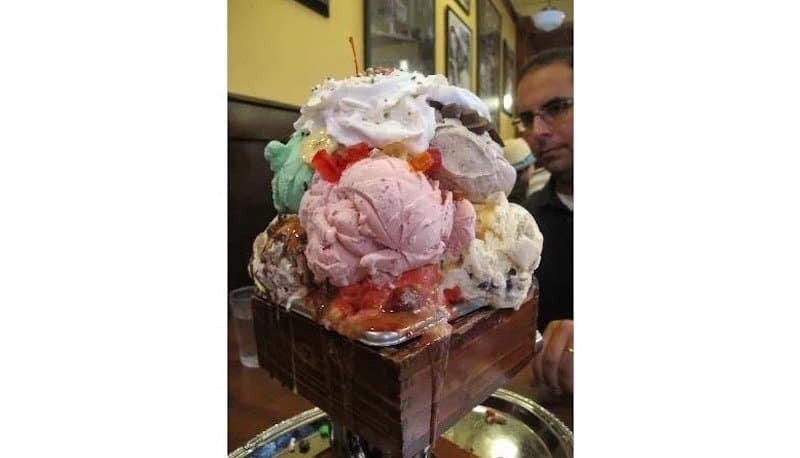 If you can finish all of that in one hour, then you get a free t-shirt and a spot on the wall of fame. 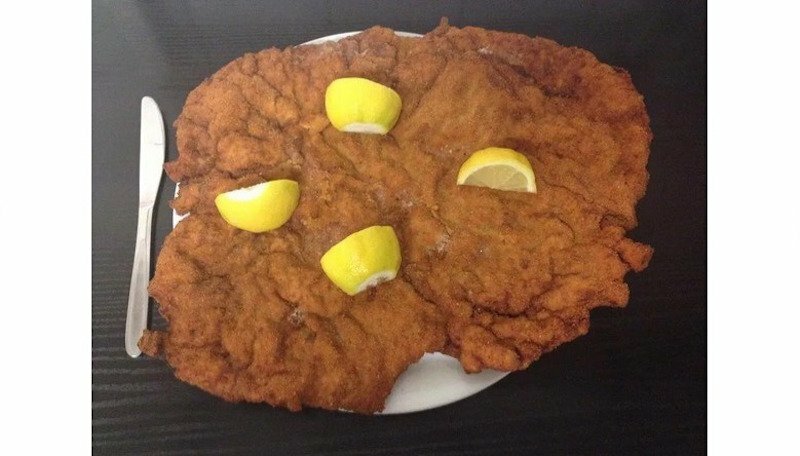 A schnitzel is a German dish where they flatten out meat, batter it up and fry it. Sounds delicious, but eating 6.5 pounds of it does not sound good. 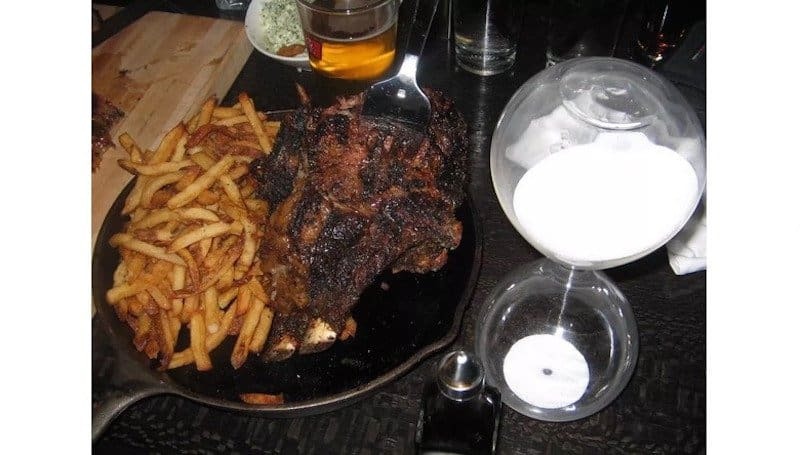 If you can handle all of that meat in one sitting, then you get a free meal and t-shirt. 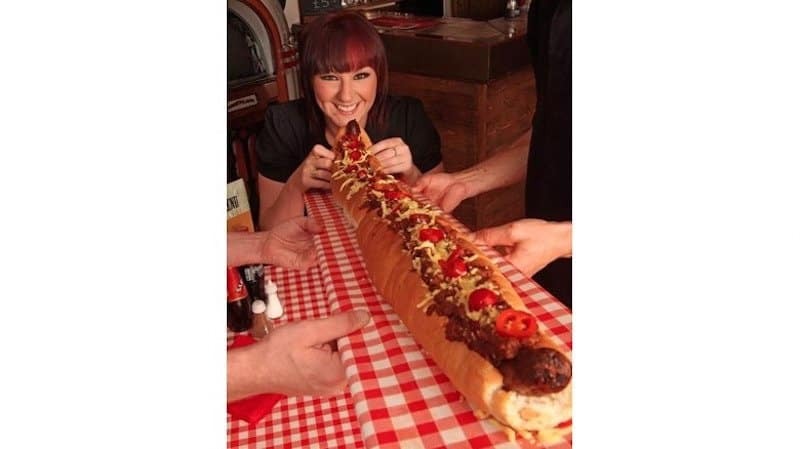 For this challenge, you have a three foot long hot dog that is topped with chili, cheese, jalapenos and onions. They also give you a side of chips and coleslaw and one hour to eat it all! 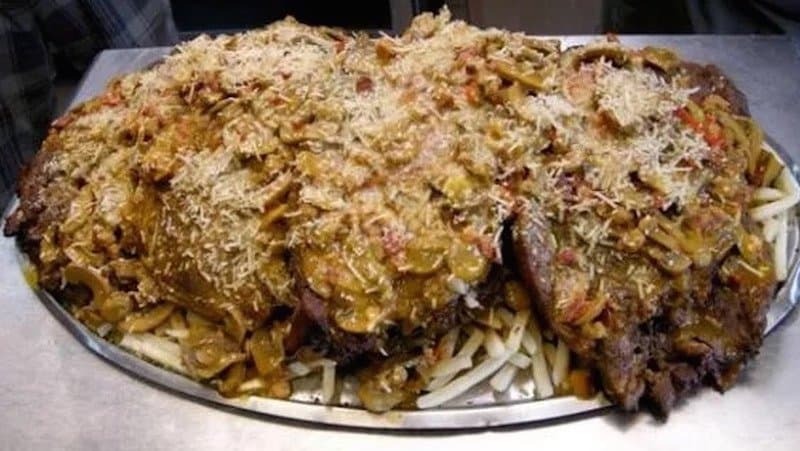 If you finish it, you get a free meal, t-shirt and photo on the wall. 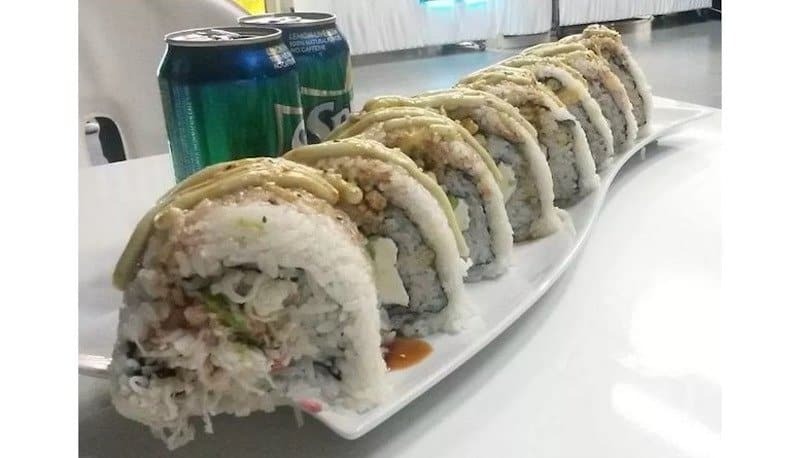 This giant sushi roll is the size of eight normal rolls! That is a ton of sushi, but eat all six pounds of it in just 15 minutes and get a free meal and wall of fame photo. To be honest, all of the food on this list looks amazing. 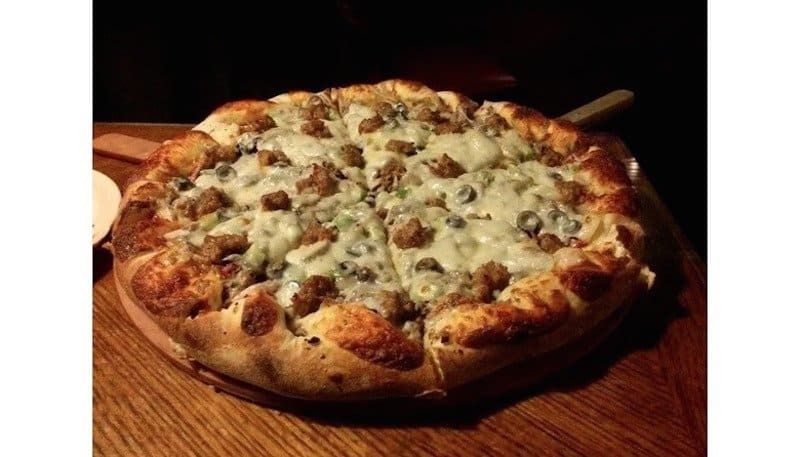 However, we don’t know why anyone would attempt to eat them, especially this five pounder that is filled with pepperoni, sausage and hamburger. All of that for a free meal and a free t-shirt. That looks like a big mess on that plate, but eat it all and win $100! The challenges includes six steaks with fries, toppings and sauce. You have 40 minutes to complete this challenge. If money is tight, then this might be the challenge for you! This is 60 oz. 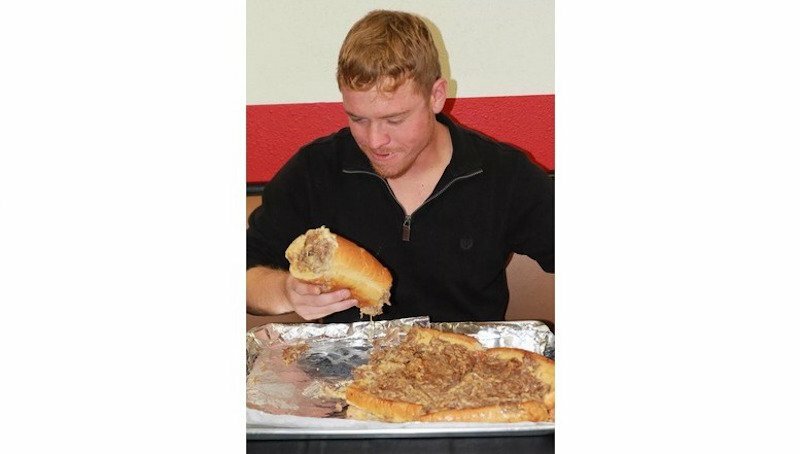 of meat topped with one pound of cheese and served on a two foot hoagie bun. You have 30 minutes to finish it and if you do, you don’t have to pay for it and you get your photo on the wall of fame. Everything is bigger in Texas, as seen by this doughnut! 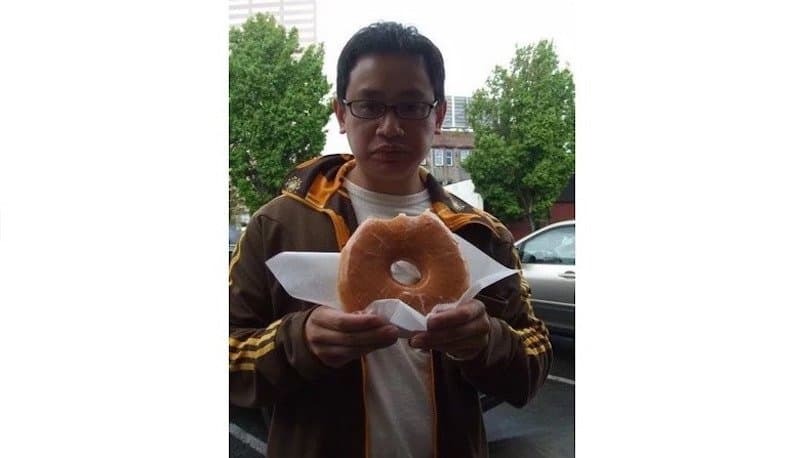 This one is a little easier, as you have to eat that huge doughnut in 80 seconds. It looks possible, but that doughnut is also the equivalent of six doughnuts! Eat it all and get a shiny button. No one will be playing sports after attempting to eat this 67 oz. steak! The challenge also includes a pound of fries and a pound of coleslaw and you have one hour to finish it all to get your photo on the wall of fame. Breakfast is the most important meal of the day, but this might be taking it a little too far! 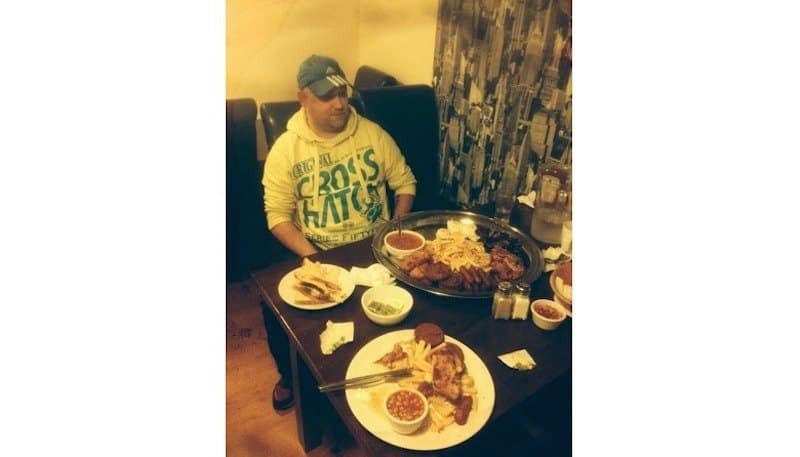 To complete this one, just eat ten fat slices of bacon, ten sausages, ten fried eggs, hash browns, a tin of beans, white pudding, a serving of chops, mushrooms, three fried tomatoes and ten slices of toast in one hour! All of that for a free meal, t-shirt and photo on the wall. We love pizza, but even this looks a little too intense for us. 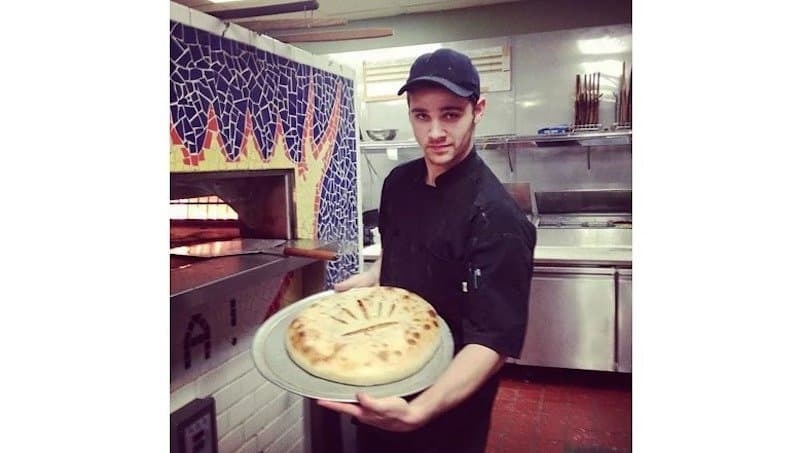 The pizza is 16 inches in diameter and weighs about eight pounds! If you can finish the entire pizza within an hour, you’ll win $100. If anything, I Love Yogurt gets the award for cutest food challenge! They use a Devo Dome Hat to put in 100 oz. of frozen yogurt and toppings. You have 30 minutes to eat all that yogurt and get it free and a photo on the wall. Again, everything is bigger in Texas, including this seven-pound club sandwich! There is no time limit on this one, but you do have to eat it all in one sitting for a free t-shirt. 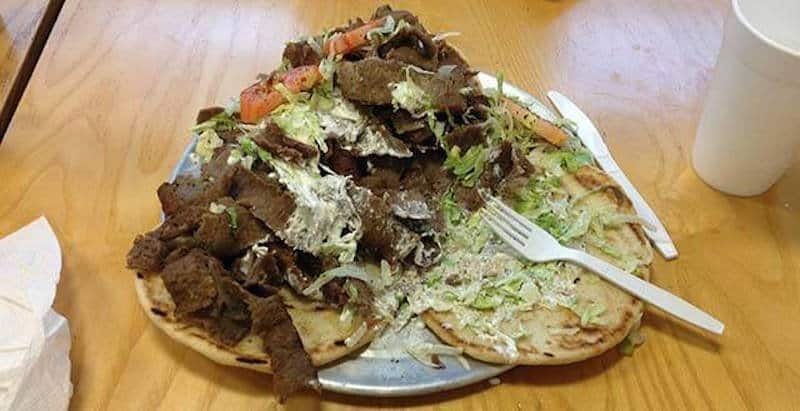 Head over to Pennsylvania for this gyro, which weighs in at five pounds! 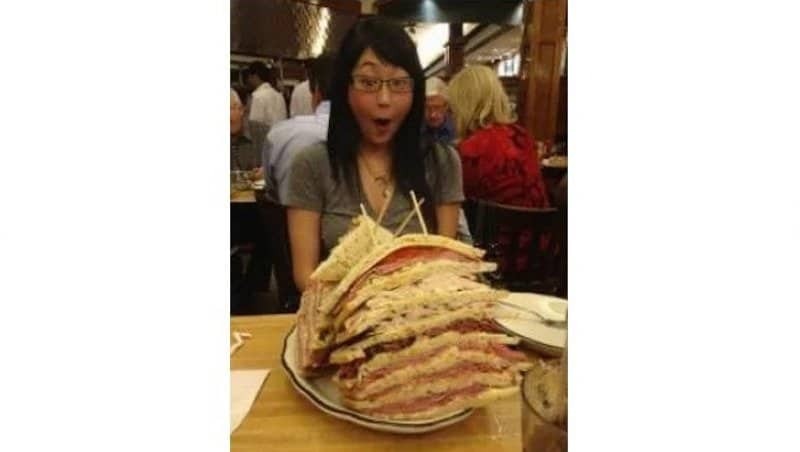 That is a ton of meat, especially for a free t-shirt and a photo on the wall of fame! Can you eat the spiciest dish in Shanghai? 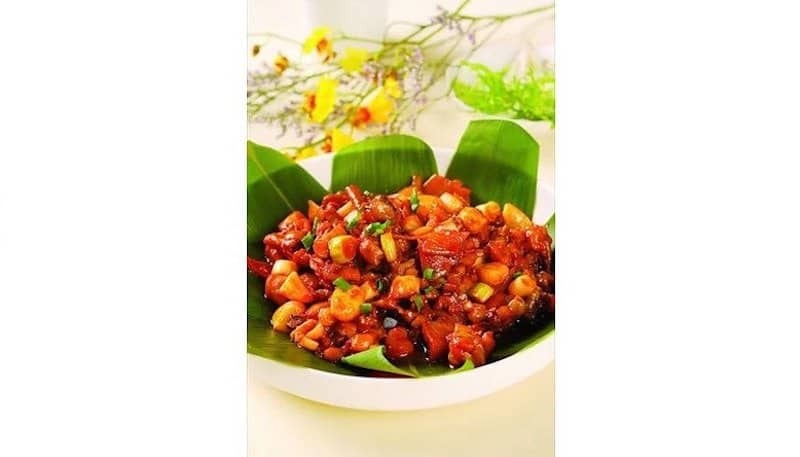 This dish consists of bullfrog stewed in five varieties of spicy peppers for two hours. Yeah, that is going to be spicy! If you can finish it, then get your meal free and your photo on the wall.